Skulls And Kisses | UK Lifestyle and Alternative Fashion Blog. : 101 things in 1001 days, progress..
101 things in 1001 days, progress.. So I thought it was about time I shared some progress on my 101 things in 1001 days I think I'll probably do this every 2-3 months, because I doubt I'm actually going to get through that many of my things in short spaces of time aha. However since April 10th I have completed/ started 6 of 101 things which isn't too bad I guess considering I was super busy with university! You can see my list here, but for now lets see what I've completed/started ey? 14 & 17. I learnt how to make cocktails, thanks to Joe'sBloggers hosting an amazing event where I got to make yummy coffee cocktails. You can read about it here. Along with learning how to make cocktails I got to meet more bloggers! 19. I got tattoos 8 & 9 well on my way to getting 10. I'm so excited I didn't actually think I'd probably have 10 tattoos any time soon, but one more and I'm there! 1. I managed to survive writing my dissertation, I'm not entirely sure how I managed but I did and I am so proud of the piece of work I completed. 72. 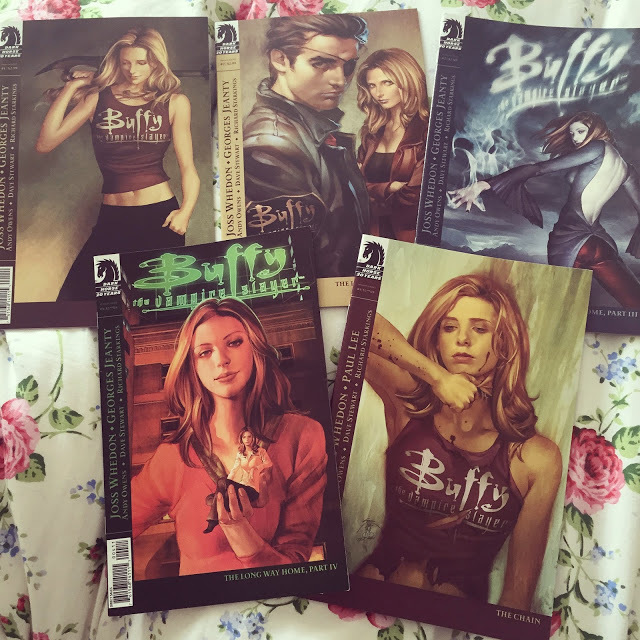 Still work in progress buuut I began Collecting the Buffy the Vampire Slayer comics, I currently own Season 8 1-5 and Season 10 10-15 I know I'm not exactly in order and missing loads but I had to get the season 10 ones when I saw them or else who knows when I'd get a chance to get amazing condition ones?! 97. I also managed to completed 1/34 of the Photo an hour once a month posts, I know I should have done 2 buuut May was a bit boring a filled with revision however my April one was pretty fun! I have 942 days left to complete the rest of my 101 things, I'm super excited to see if I can actually manage to complete a lot of them! Are you doing the 101 things in 1001 days?